Just because you don't pay a big price doesn't mean you can't see the big picture. With a 10% larger field of view than most standard scopes, the Tasco® Bucksight series delivers quite an eyeful. Its fully coated optics increases light transmission for bright, clear images and its fogproof, shockproof, waterproof construction is designed to make this little investment last a long, long time. Just because you don&apos;t pay a big price doesn&apos;t mean you can&apos;t see the big picture. With a 10% larger field of view than most standard scopes, the Tasco® Bucksight series delivers quite an eyeful. 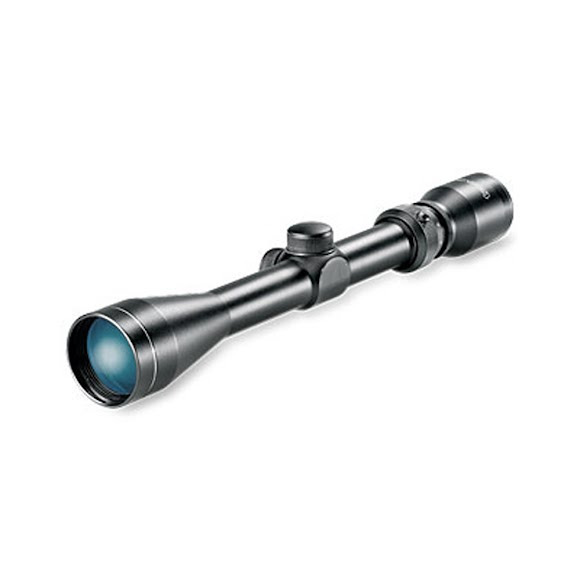 Its fully coated optics increases light transmission for bright, clear images and its fogproof, shockproof, waterproof construction is designed to make this little investment last a long, long time. Increase light transmission with multiple anti-reflective coatings on all air-to-glass surfaces. Broadband coatings. Every scene is brighter and more detailed!